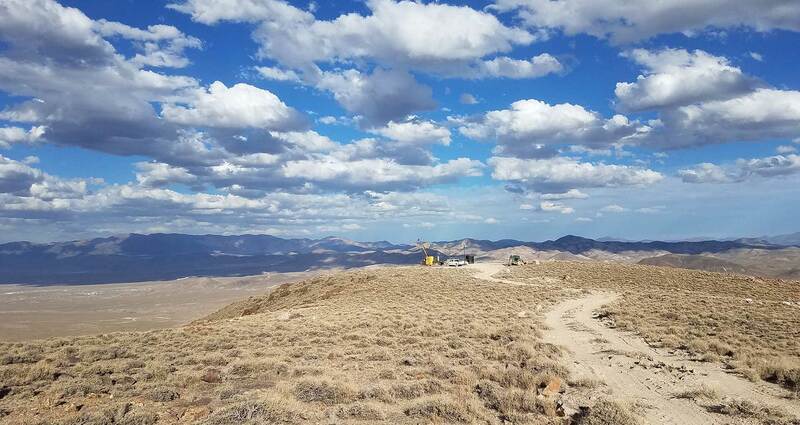 Patriot Gold Corp. (OTCBB: PGOL) is pleased to announce that drilling has been initiated at its Moss Mine Project located within the historic Oatman District of northwestern Arizona. A program of six or seven core holes is testing the down-dip extension of the Moss vein system. Total drilling footage is estimated at 3,000 feet. The drilling will test approximately 2,000 feet of strike length of the vein. The first geochem results are expected in three to four weeks. Located within the Oatman District which has had historic production of +2 million ounces of gold, the Moss vein system can be traced on surface for over a mile. Dipping 40-60 degrees to the south from a high ridge, the quartz-calcite veins and stockworks are being drilled as a bulk minable gold target by Patriot.